Product #22215 | SKU GOLD STUDIO-25 | 0.0 (no ratings yet) Thanks for your rating! This Mogami Gold Studio XLR Microphone Cable is a high quality microphone cable for studio use utilizing Neglex Studio Quad #2534 cabling for better clarity and diminished noise and RF interference. This cable is terminated with black body 3-pin XLR connectors and gold contacts. 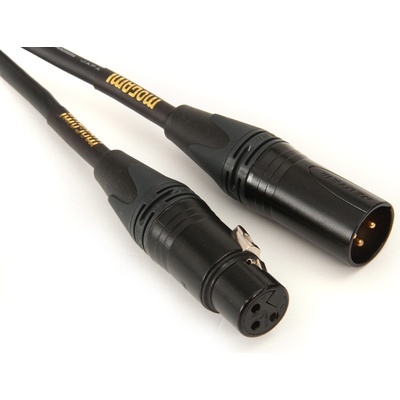 Neglex type Quad Cables have been developed for the highest quality recording applications where maximum definition of recorded sound is of critical importance. Special proprietary materials & construction methods make those state-of-the-art mic cables a must for direct to DISC and digital recording. Basic matters of flexibility, microphonics and shielding effect have been designed to meet international professional requirements.